Saturday, February 16, 2:00 -3:00 p.m.
Lyman Estate, 185 Lyman Street, Waltham, Mass. The Lyman Estate Greenhouses are among the oldest greenhouses in the United States. Join Greenhouse Manager and plant expert Lynn Ackerman for an illustrated talk that reveals how the Lyman Estate fits into the history of greenhouses and related technology in America. Find out how nineteenth-century plant enthusiasts looked to Europe for inspiration on building structures to house decorative and edible plant collections. The lecture takes place in the Lyman Estate mansion. 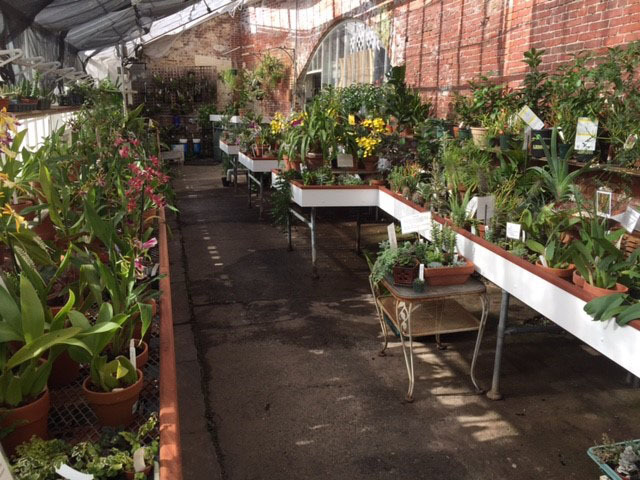 Afterwards, visit the greenhouses and enjoy our large collection of plants. Shop with advice from staff experts. Historic New England members get a 10% discount on purchases.